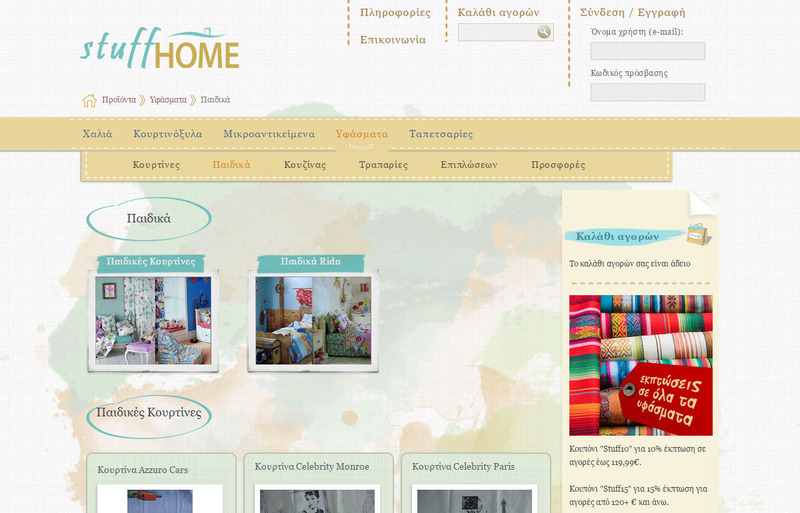 E-shop for the sale of curtains, furnishing fabrics, linen, upholstery and curtain rods. E-shop with the respective store's inventory and enrichment of the catalog so as to cover a wide range of household goods. Gentle design with colors and textures made from real fabrics that immediately informs the visitor for the type of products to be seen. Integrated e-commerce system with additional sales capabilities not only per piece, but also by length, weight and other units of measurement.